The PlayStation 4’s much awaited arrival in Sony Corp.’s home market is the first time Japan did not get a major Sony game machine ahead of other markets. TOKYO — PlayStation stands out among the long list of famous Sony brands as one that hasn’t faded or succumbed to a nimbler competitor. Months after hitting global markets, the latest version of the video-game console is going on sale at midnight in Tokyo, a big shift from times when Sony was ascendant enough to launch flagship products in Japan first. The PlayStation 4’s much awaited arrival in Sony Corp.’s home market is the first time Japan did not get a major Sony game machine ahead of other markets. With much riding on the PS4’s success, the commercial advantages of targeting overseas markets outweighed the sentimental pull of a home town launch. 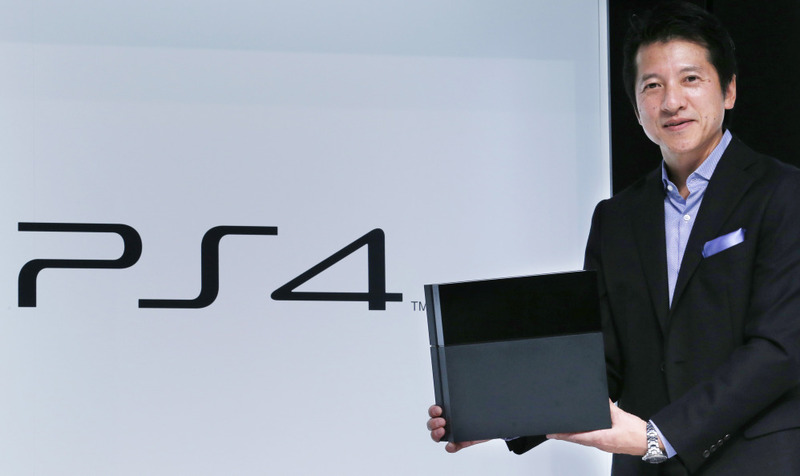 The PS4, Sony’s first video-game console in seven years, went on sale in the U.S. and Europe in November. Still, a big crowd of Japanese game fans are expected at the countdown ceremony in Tokyo’s fashionable Ginza district. Sony officials say more time was needed to prepare game software attractive for Japanese, but analysts say Japan wasn’t a priority for Sony’s game division. The PS4 has proved a hit so far, selling 4.2 million units last year, outpacing rival Microsoft Corp.’s Xbox One at 3 million. But analysts say Sony, headed to a 110 billion yen ($1.08 billion) loss for the fiscal year ending March, needs more than a successful game console to reverse its dimming fortunes. But in recent years, out of Sony’s long list of well-known brands — Walkman, Vaio, Bravia, Cyber-shot, Handycam, Aibo — only PlayStation has managed to hold its edge. Its share price is today just one third of its 2008 value. Sony’s Bravia TV section, despite boasting the company’s top notch image technology, has not made money for 10 years straight, despite repeated promises from executives to make it profitable. The Aibo robot dog was scrapped in 2006, under a massive turnaround program, despite an uproar from fans. It’s also cutting its global workforce by about 3 percent or 5,000 people by the end of March 2015, as it restructures its PC, television and other businesses. Some 3,500 of the job losses will be overseas and 1,500 in Japan. That comes on top of the 10,000 jobs cuts Sony announced over the previous year. “I am just not sure anymore if there is anything Sony makes that can be counted on to produce growth,” said Motohisa Ohno, a technology expert who heads Tokyo-based NewProject, which consults companies on software, Internet branding and other topics. When the Walkman was invented in 1979, listening to music with earphones on-the-go wasn’t common practice. It was shown off in the first demonstration by a skateboarder. In ultra-HD TVs called “4K,” the Chinese makers are quickly catching up. If PS4 sales trail off, that would be a problem. Much of the console’s profits come from game software. Yasunori Tateishi, who has written books on Sony’s fall from grace, fears that eventually Sony will be reduced to its entertainment business such as music, movies and perhaps games. Hirai has repeatedly said Sony’s smartphones, tablets and imaging technology are still scoring success, and its engineers are working hard to come up with dazzling products. He is promising a turnaround through his reforms. That hasn’t stopped him from being peppered with questions from investors who have heard engineers are quitting in droves, endangering Sony’s ability to come up with innovation. Hirai has not directly addressed such questions.